Rigobert Bonné (1727-1788) succeeded Jacques Nicolas Bellin as Hydrographer at the Depôt de la Marine in 1773. His map of the Cape Verde Islands was published in his Atlas Encyclopédique, 1787-1788. 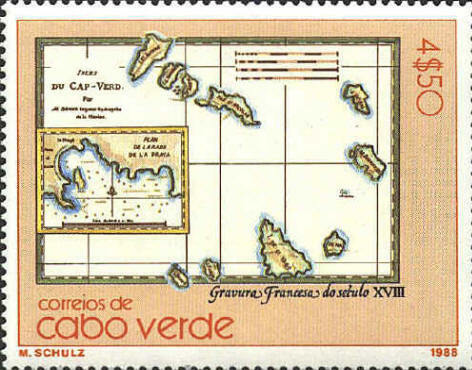 The inset is titled Plan de la Rade de la Praya, "Plan of the Natural Harbor of Praya." Bordone (1460-1531) was an illuminator and wood engraver from Padua. He was established in Venice by 1474. He published atlases of islands called insulario from 1528 to 1565. 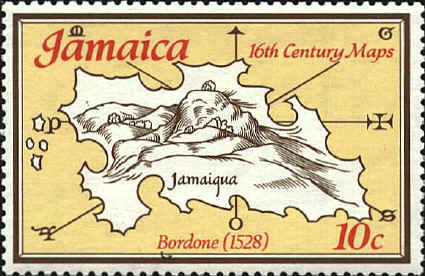 An interesting feature of the map on the stamp from Jamaica is the eight-point wind rose behind the island. The symbols at the ends of the lines indicating the directions are the initial letters of the Greek names for the winds: North East - Greco, South East - Syroco, South - Ostro, South West - Africus, West - Ponente, and North West - Maestro. North is marked by an arrow-point and East by a cross. 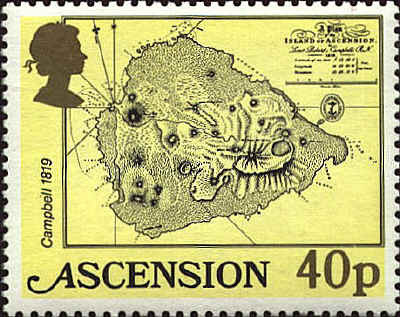 The first accurate map of Ascension was produced by Lt. Robert Campbell of the Royal Navy after an extensive survey in 1819. 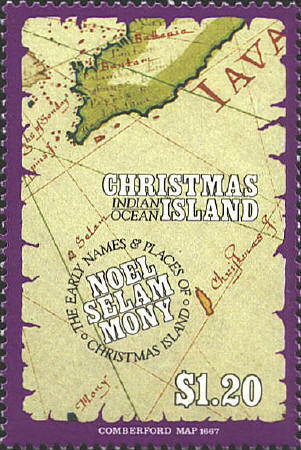 Nicholas Comberford (1626-1670), a member of the "Thames School" of English chart makers, made the map of Christmas Island in 1667.